I've always wanted to try winter sports, snowboarding in particular, and the trip to Japan presented an opportunity to do just that. 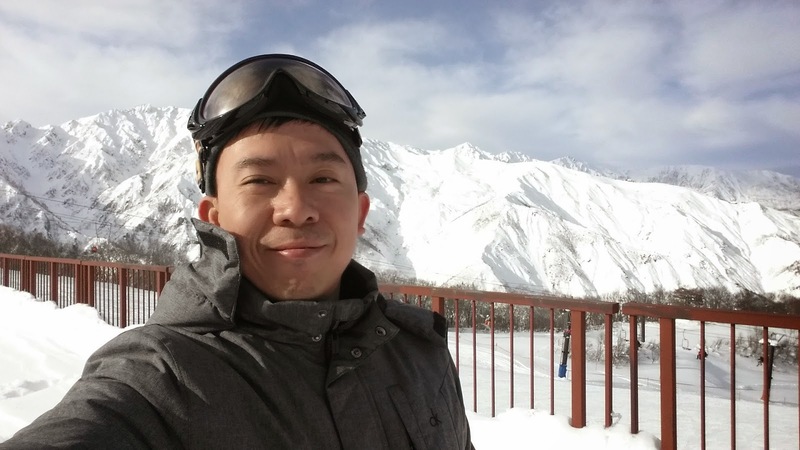 Actually, it was because I wanted to try winter sports that I decided to travel to Japan during the winter. Winter sports - skiing, snowboarding, bob sledding, or even the weird sports of curling - are something that I, who was born and have live most of my life in a tropical country, can only see on television during the winter Olympics, or in the movies, like in James Bond films. I think there's something very exciting zipping across a snow-covered landscape, even without the henchmen of Ernst Blofeld chasing at your heels. I arrived in Hakuba late at night after taking the Shinkansen to Nagoya from Kyoto, then taking the Azusa train to Matsumoto, then two more changes on local trains. 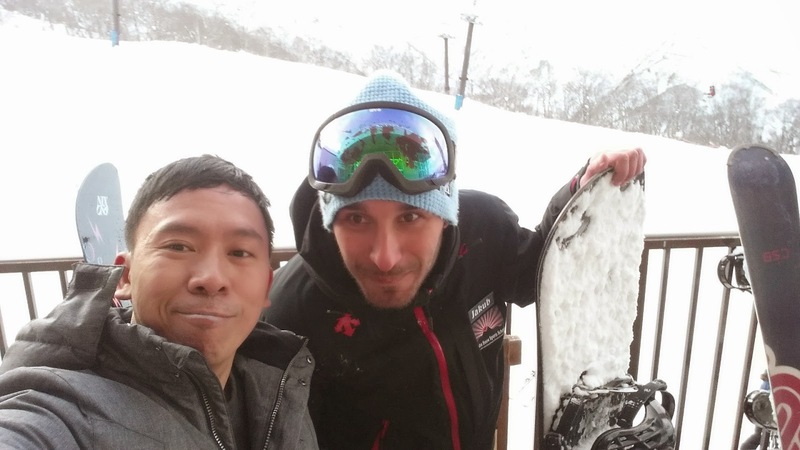 As soon as I checked in I asked Toshi, the owner of the hostel, where to book snowboarding lessons. He made a few phone calls and managed to get me one - a group lesson for only ¥ 6,000 for 2 hours (the private one-on-one will set you back ¥ 19,000 an hour). 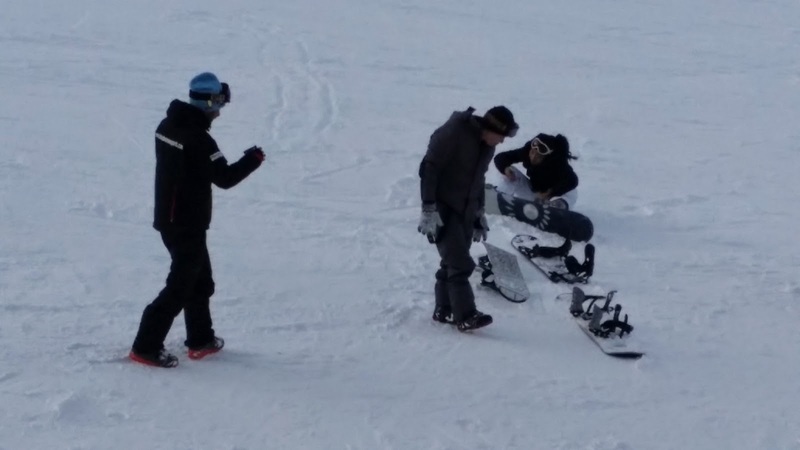 He also gave instructions where I can buy my lift ticket, and where to rent the snowboarding equipment. I tried to prepare myself during the day of the lesson as this was new to me (plus it's almost below zero outside, though it got hotter, around 10 C by noon), and I followed Toshi's advice of having a big lunch and eating chocolates to ward off the cold (as if I need more reasons to eat more chocolates). 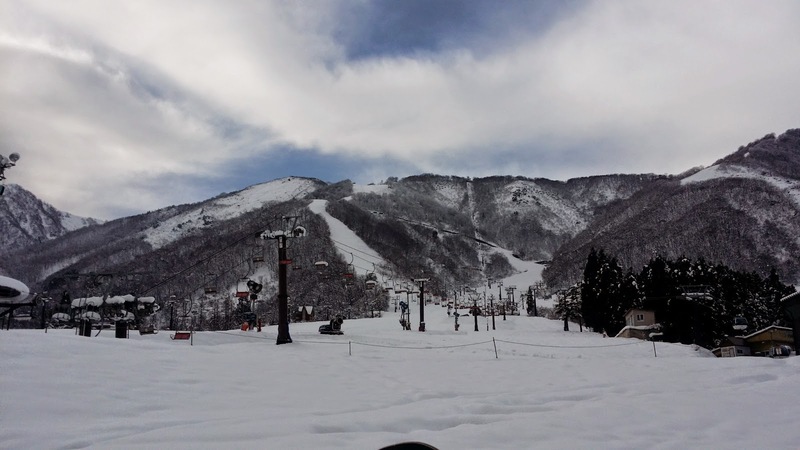 At around 12:30 I set out to the Goryu Ski Resort, one of the ski areas of Hakuba and where I am doing my lessons. 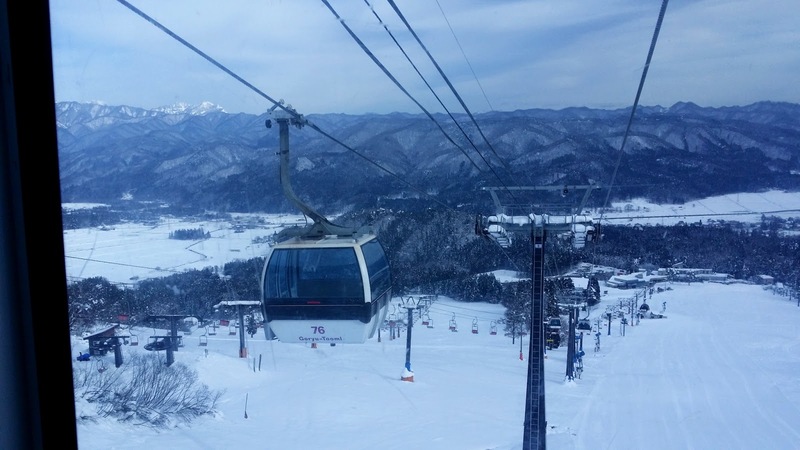 Goryu has 8 gondolas, 17 ski lifts, and 23 courses throughout the resort. 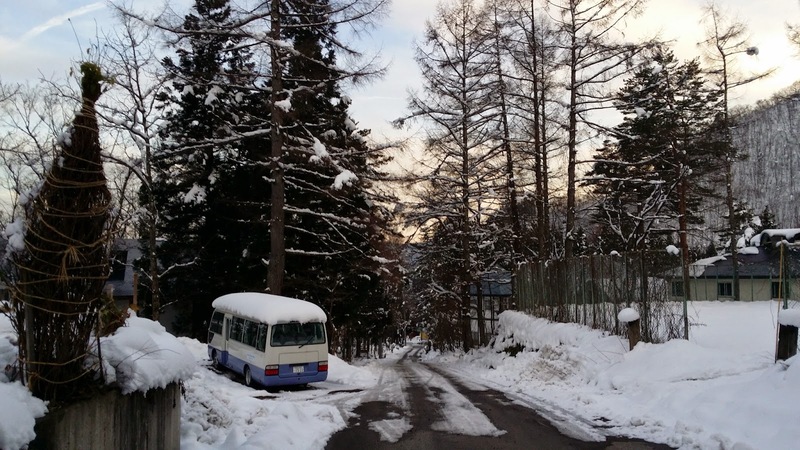 Hakuba is just a small village in the Nagano Prefecture, almost at the foot of the Japanese Alps. The ski town was one of the venues of the 1998 Nagano Winter Olympics, with one of the slopes - Happo One - hosting the alpine, giant slalom and combined slalom events. 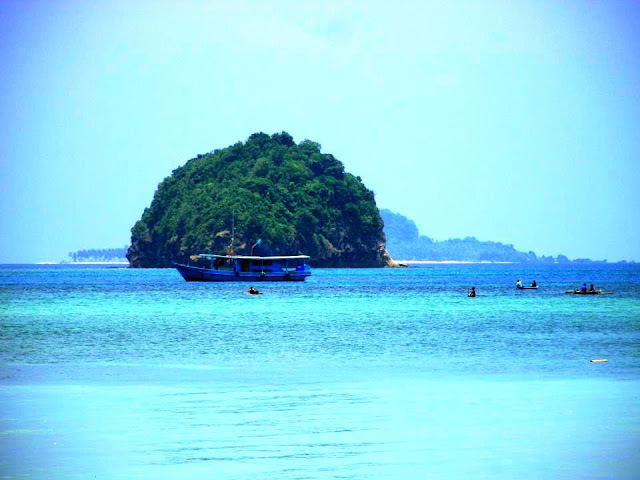 Goryu is located just beside Happo One. Before I can start my lesson I need to be on my proper garb, which I rented from a shop called Winpy. I presented a note from Toshi which lists the things I needed. I got the waterproof snowboarding pants, goggles, snowboard deck and boots. I already got my parka and beanies so I skipped those. After fitting and putting them on, I paid the owner and went to the resort. I waited for the instructor, Jakub, for a few minutes. 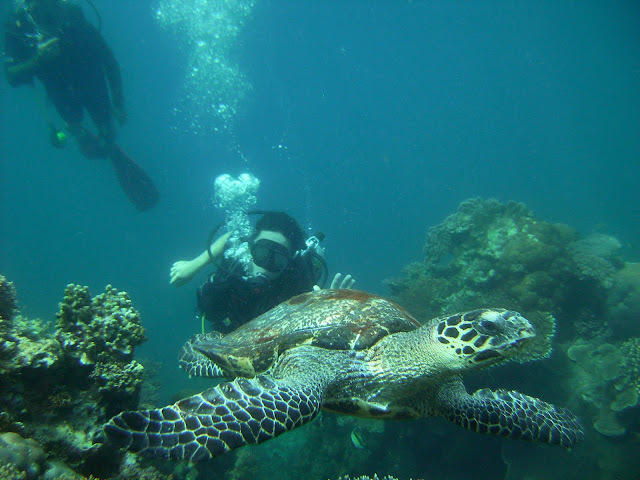 Jakub is a Czech backpacker who is traveling around Japan, and financing his travels by getting jobs like this one. There there two more in my group - kids from Singapore who are taking lessons for the first time too. Accompanying them are the parents; the dad, who is skiing that day, and the mom, who is only taking pictures. I asked her if she can take mine too, and when she said yes I promptly lent her my phone. We took the gondola to the ski slopes and there started our lessons. 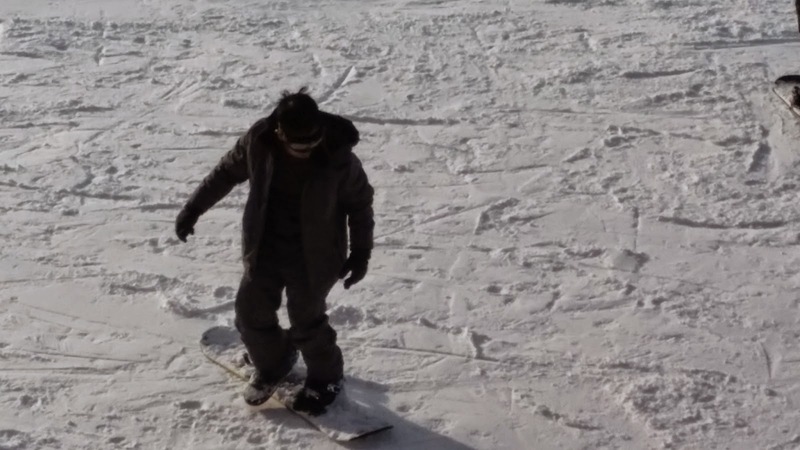 We started with the basics, like how to secure the boots on the snowboard, how to stand when both feet are latched to the board, how move around, and to secure the board from not sliding downhill. 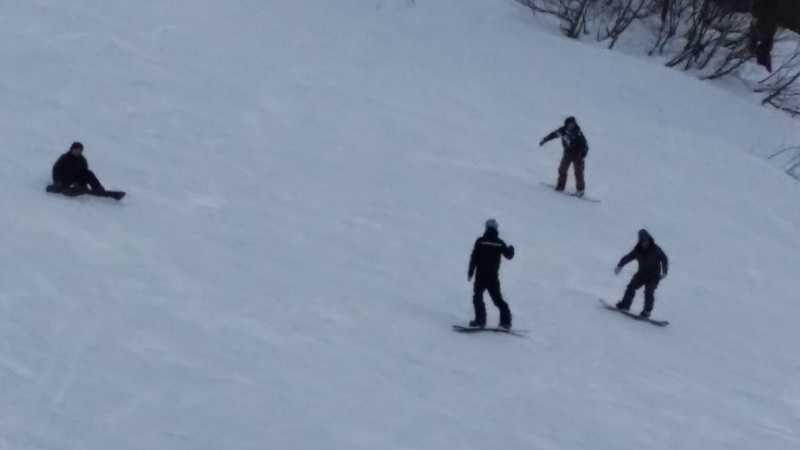 We also practiced some moves, like sliding on the snow and stopping, then progressed from there to more difficult ones, like turning, sliding down with both feet on parallel, then doing the "falling-leaf" maneuver, which you make a zigzag pattern while going down the hill. At this point I was actually sweating heavily. I wore a thermal under my parka and I can feel the sweat running down my torso - snowboarding is hard work! I unzipped my parka to vent, and removed my beanies too, to cool down. I was also sweaty under my gloves which became a problem; whenever I fall down, snow would stick to them, freezing my sweat, making my hands cold. Towards the end of the lessons we took the ski lift to go to the higher slope. 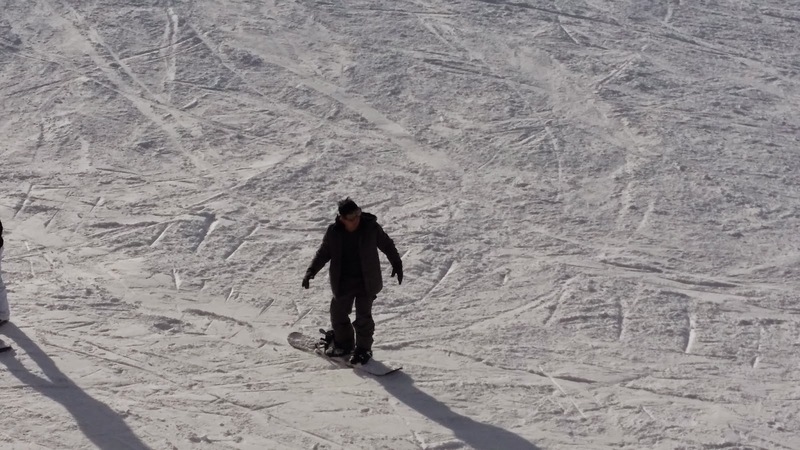 I kept imagining what if I fell from the lift, as it was just practically a bench with no restraints, and my snowboard, now heavy with snow, was just dangling down. The ride wasn't bad though, and as soon as we got to the higher slope Jakub started giving instructions on using the falling leaf to go downhill. I did manage to do it well, on some segments. Jakub commented if I surfed, because I can balance well. I did fell several times, on my face on two occassions, when I go downhill and there's a bump along the way (the warm temperatures melted the snow and turned them into ice). I'm glad I did not pull any muscle though. I was almost four in the afternoon when we all got in the place where we first did our basic moves, and the resort is almost closing at this point, so Jakub concluded the lessons. All in all I was happy with my first lesson, and satisfied with not embarrassing myself basically. 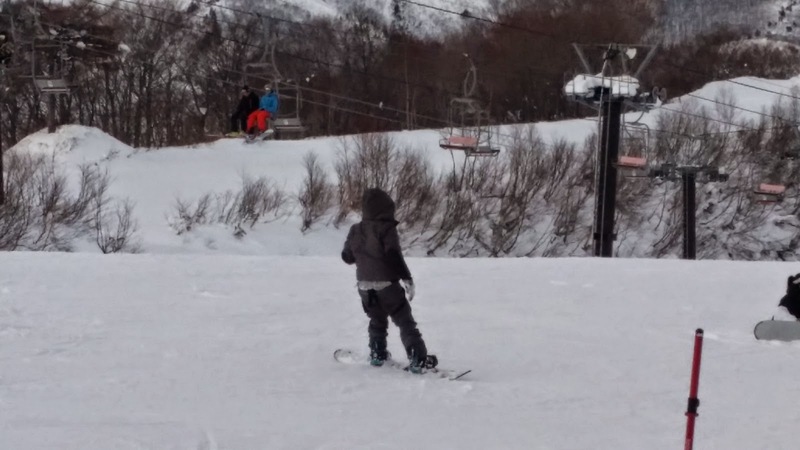 I made a mental note of doing snowboarding again, in Hakuba or wherever, next time I travel during the winter. After chatting with Jakub and the Singaporean family (the kids are named Matthew and Mara, I can't remember the names of the parents but their names start with "M" too), and taking more pictures of the slopes and the mountains, we took the gondola again, to go down. The ride terminated in Escal Plaza, where we return our RFID lift pass, and where we changed clothes. I returned the equipment to Winpy and went to the hostel to eat as I was famished at this point. 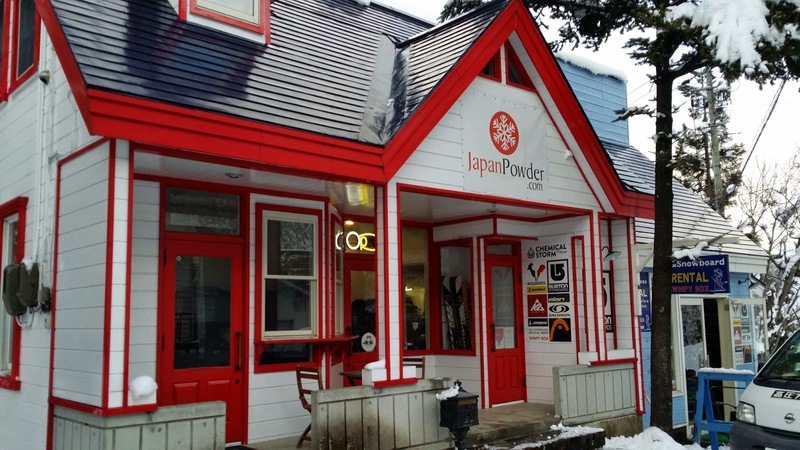 I then went to an onsen for the après ski. 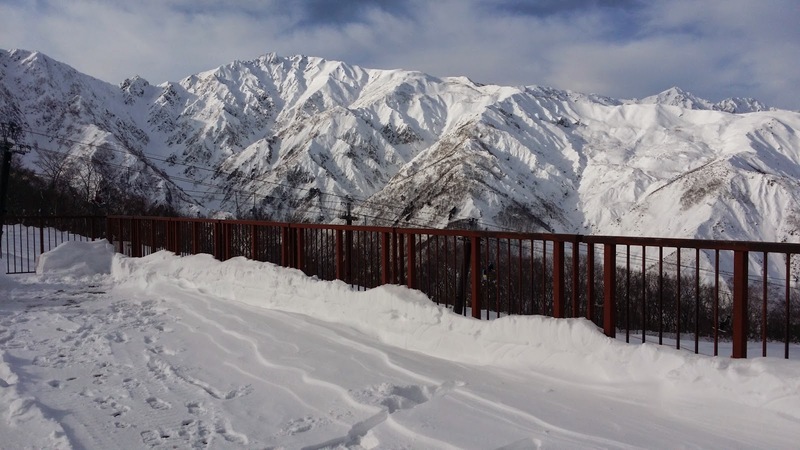 Hakuba is located in the Nagano Prefecture, in Chubu region of Japan. From Tokyo, you may take a Shinkansen to Nagano or Nagoya, then take another train to Matsumoto, then continue on a local line to Hakuba. 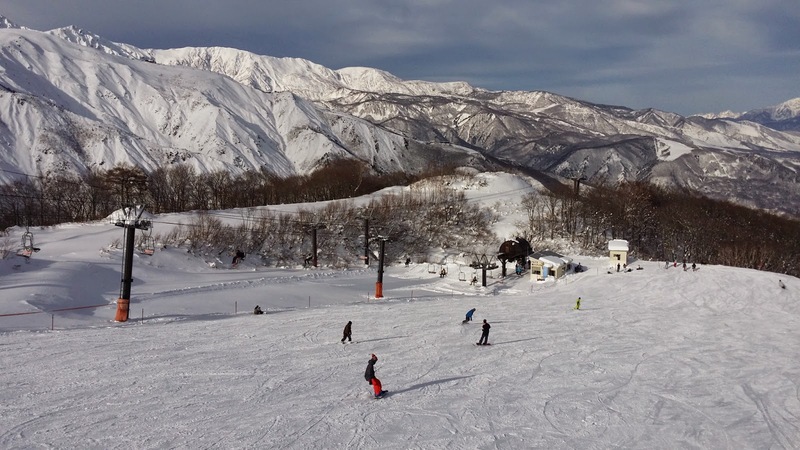 I will write a guide to Hakuba post, so stay tuned on that one.